Popular third-party browser BOLT has been discontinued according to the company's site. BOLT first made it's name on BlackBerry way back in 2009 as being a top third party browser with its speed and tabbed browsing when the native BlackBerry Browser was still lacking in features. 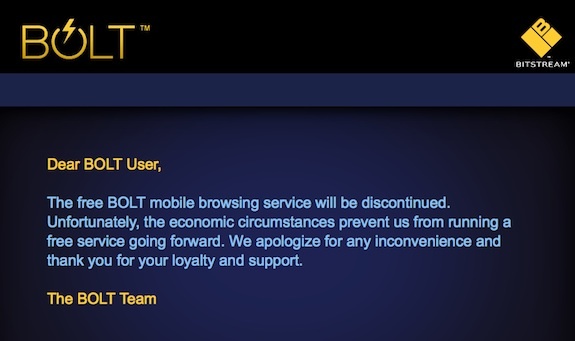 It's definitely sad to see it go, but as the company stated on their site, they can no longer continue to support BOLT. So what say you? Are you sad to see BOLT go away for good? Or does the native browser suit you just fine? Hit the forums and let us know your thoughts!